Für musikbegeisterte junge Leute zwischen 16 und 26 Jahren. The workshops are each designed for 10 participants. Experience has shown that a timely registration is recommended. 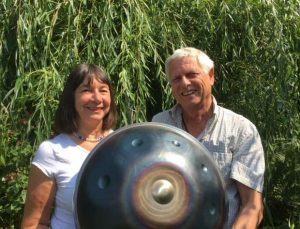 Do you want a comprehensive entry into the handpan world, to play a handpan made available to you on-site, and the chance to purchase a handpan? Then you’re in the right place at the Handpan Academy’s Workshop Level 1! No previous knowledge is necessary for participation. For workshops, Innersound Handpans will be provided on-site for all participants. Last house in the village on the right side if you are coming from Brandenburg.